Amara is a pioneer in the field of custom rugs, categorizing each project to be made in one of 5 rug weaving countries. We are one of the few if not the only rug resource that can produce up to 50 different qualities in 5 different countries. This is to ensure that your dream rug is truly unique. We can produce any shape and size. Whether you need a long thin rug for your hallway or a perfect square for your living room, we are here to make that happen for you. Currently we offer 1200 different shades to satisfy any custom decor. We also offer color matching service, we can match your fabric color with the rug. In some cases we also offer vegetable dyes only made from natural plants. 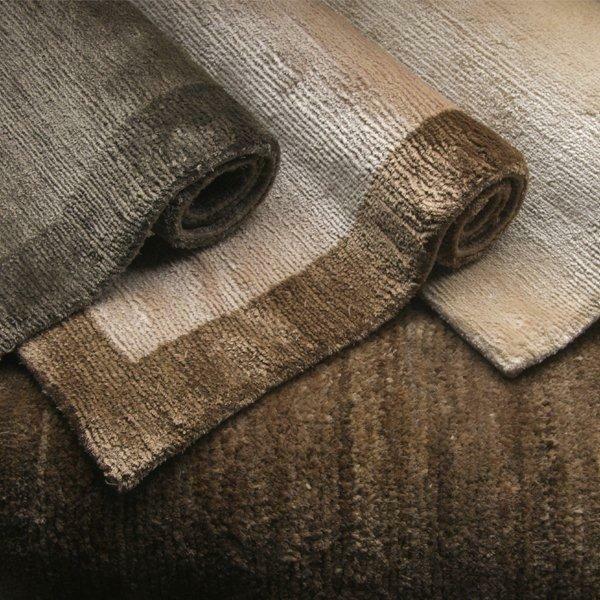 Natural fiber colors in non dyed form are also available in wool, silk, linen, mohair, cactus, hemp,sunpat, and allo. Our collections have over 1000 patterns, ranging in style from traditional to contemporary. All designs can be modified or we can create a design using your own unique design vision. We offer quality from 60 knot count up to 300 knot count. If you would like to discuss different quality options please contact us. A proportional sample (strike off) will be ready within 2 to 4 weeks. Lead time on Tibetan rugs ranges from 3 to 5 months depending on the size. We offer over 30 different blends of the finest durable natural materials. Please "LOGIN" or “CREATE ACCOUNT” to send an Inquiry message.